Attended by approx 22 members who enjoyed a guided and very informative visit around the Memorial. This was followed by an very enjoyable meal at the chinese restaurant. The Memorial is dedicated to persons from Mayenne deported to concerntration or extermination camps during the Second World War. Objects displayed have been brought back from the Nazi camps to create exhibitions along with walls of memory, testimonies from witnesses. 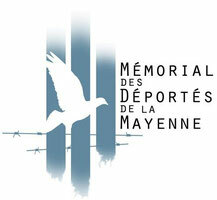 Inaugurated in 2012 it seeks to convey memory and awareness, it is run by the Association for the Memorial of Deportes. Join us for this activity !